Introduced in 1937, the aviator gets its name from the aid it provided US Air Force Pilots with decreasing glare in flight. It has an iconic design that will last and last for years to come. 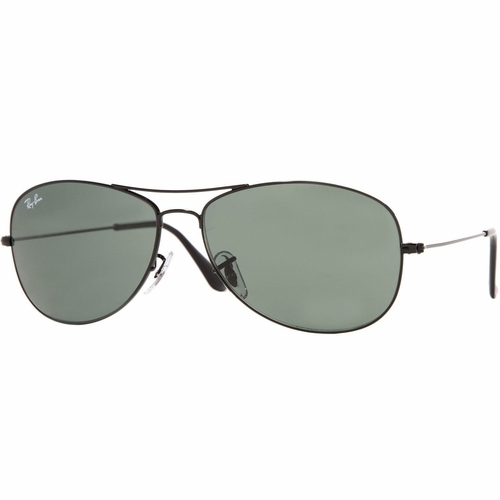 The Ray-Ban Casual Lifestyle RB3362 Sunglasses are designed in a classic aviator shape with metal frame and wire arms. The scratch/impact-resistant lenses ensure 100%: UV protection & superb optical clarity. One of the best-selling brands worldwide, these glasses offer great European styling and quality Italian materials! All Sunglasses come with Original Carrying Case, Cleaning Cloth, and Papers.